What is VOB? VOB( Video Object) is a container format used for video and audio files, as well as subtitles, DVD menus, audio contained on DVDs. You can watch movies and videos in VOB format on Mac computers or Windows PC as long as you have a VOB file player. But this format is not widely accepted, and many media players are helpless to deal with it. Mobile devices are also bereft of reading VOB videos. So, how to play VOB files on iPhone iPad Android HD TV with no format compatibility issue? What are the best VOB player? Find your answers below. To do the job, just convert VOB video to iPhone iPad Android supported formats. MacX Video Converter Pro, a profession VOB converter, helps convert videos formatted in VOB to MP4, AVI, 3GP, MOV, MP3, AAC, etc with no quality loss. You can still convert VOB files to mobile photos, tablets, TVs, gaming systems, NAS, and more directly with world's fastest speed. The "ZERO quality loss" feature makes you play VOB files on Android, iPhone , iPad with original quality. Not good at tech things? No worries, it is very easy to use. Below is a detailed guide about VOB video conversion. Step 1: Free download VOB converter for Mac and run it, or download Windows version on Windows PC. Click "Add File" icon to import the VOB video file you wanna play on Android, iPhone, iPad etc. Step 2: Choose output format. You can select to convert VOB files to MP4, AVI, MOV, 3GP etc. Or head to Apple Devices, Android, to convert VOB video into iPhone 6s/Plus, iPad Pro, iPad Mini 4, to name just a few. Step 3: Click "Browse" button to choose a folder to save the output file. Step 4: Click "RUN" button to start the VOB video file conversion for playback on iOS Android mobile devices or TV, media players. You are also allowed to reduce compress VOB files on Mac by trimming, cutting, cropping, changing video codec, etc. How to open on play files with extension .vob on Mac computers or Windows PC? Many media player won't DVD VOB files, popping up an error message "Video Codec not supported", or media player freezes when playing DVD VOB video files. All the problems can be boiled down to the player you are using. Check out the following top 4 best VOB player for Mac and Windows. When it comes to DVD VOB file player, how can you forget VLC? VLC is a open-source, cross-platform and light-weight media player, allowing you to freely play VOB format file on Mac OS, Windows, and Linux. It reads VOB files fast and it is very simple to use. But we don't exclude the possibility that VLC fails to plays VOB media file sometimes, like VLC plays DVD VOB files with endless loop. If it happens, you can quite VLC and use other media player supporting VOB or convert the files. The VOB video file player also plays other similar file formats, IFO(InFOrmation), and BUP(Back Up). It is a new VOB files media player released on 2015. If you are a Mac user, you have to switch away, because this is a media player for Windows 8.1 or lower. It plays VOB video files for free with screen capture function available, video effects and built-in codecs, Vorbis, FLAC, MPEG1, MPEG2, H.264, etc. But pay your attention during the installation process, as it includes Google bar. It is a free media player that supports over 80 video audio file types, including VOB file format. This VOB file player works on Windows 8.1 and lower. If you are running Windows 10 or Mac OS, the first DVD VOB file player 5KPlayer is the best way to go. Final Media Player plays MKV, AVI, MOV, MP4, M4V, FLV, 3GP, M4A, MP3, AC3, and other commonly used video audio files as well. But there are no advanced options, like video audio capture function. You can free download the VOB player from its official site. If you want to play VOB files on Mac, iPhone, iPad, Apple TV or other mobile devices, you can download the VOB converting software and do the VOB conversion to MP4, MOV, MKV, etc freely. VOB won't play on Mac's default QuickTime player. You can convert VOB to MOV first and then play the .vob file on Macbook, iMac without error. The VOB conversion guide shows you how to transcode VOB file to MKV format with high quality. 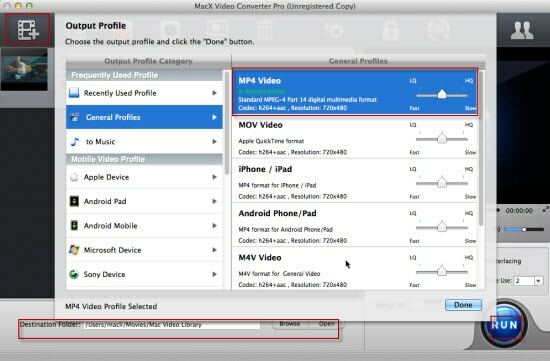 MacX Video Converter Pro can convert DVD VOB files to MP4, MOV, AVI, etc. format with no quality loss and fast speed. It also enables you to download MKV video movies free from YouTube, Vimeo and over 300 sites.